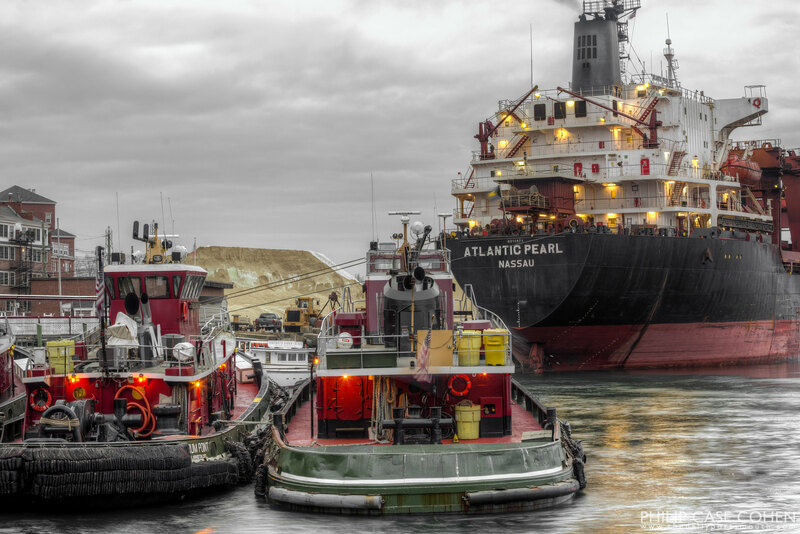 The Atlantic Pearl unloads salt before the arrival of winter. The glow of the tugboats’ and the freighter’s lighting is one of my favorite things. Thank you so much for the invitation to repost from your Facebook page. I love your work and follow it faithfully; it is a privilege to promote it. Happy New Year Philip case Cohen!